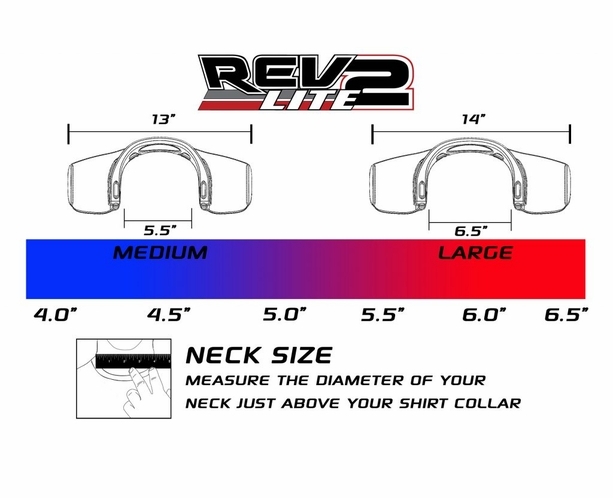 NEW 2017 REV 2 Lite Large size which fits up to 6.5 inch wide necks. 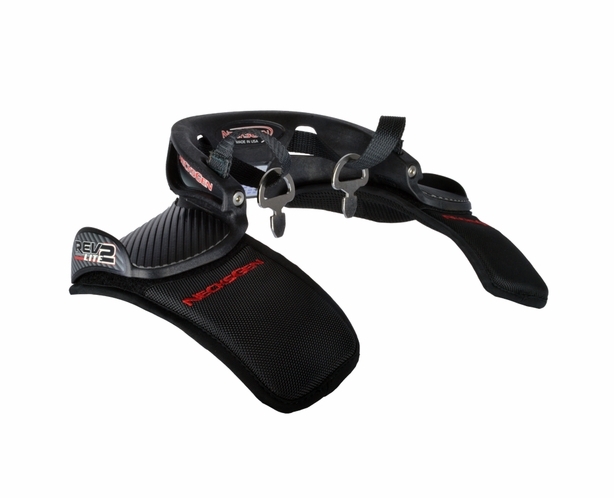 Safety SFI 38.1 certified and Made in the USA. 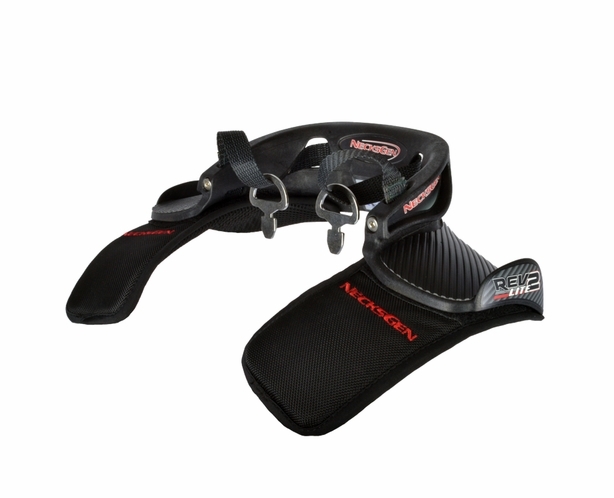 Features the new integrated adjustable tether design, sizing and fitment are easier than ever. 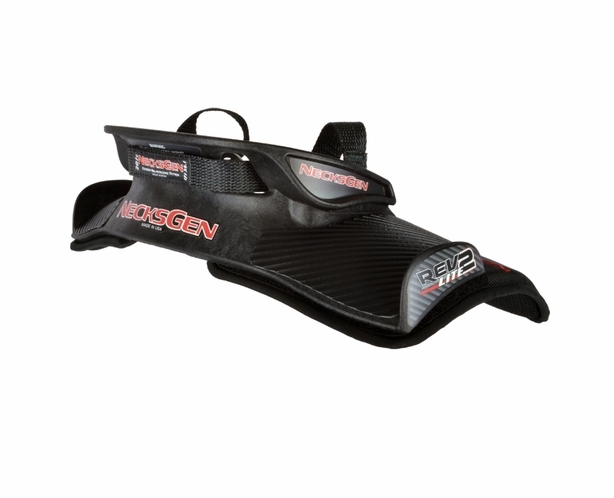 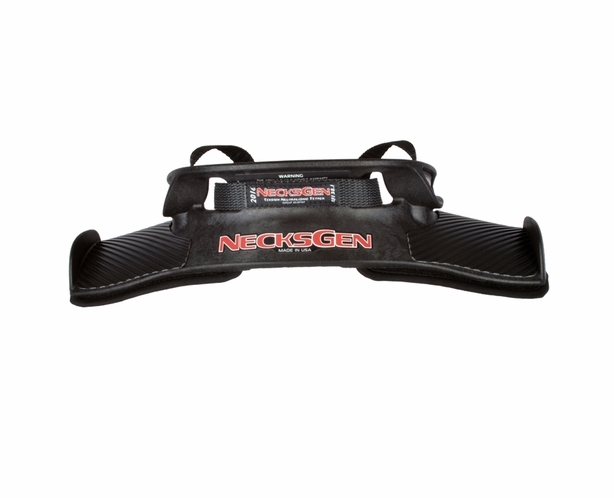 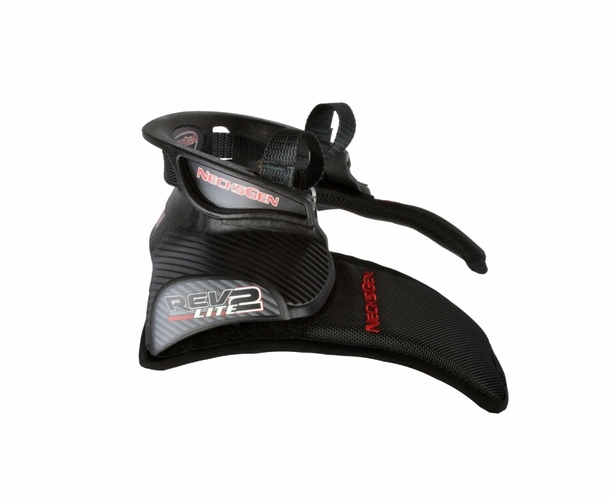 The NecksGen REV2 Lite is only 1.2 lbs and the all new weight saving design makes it one of the smallest and lightest head and neck restraints on the market. 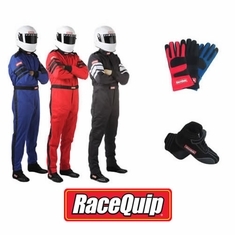 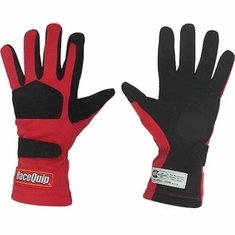 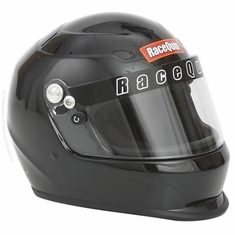 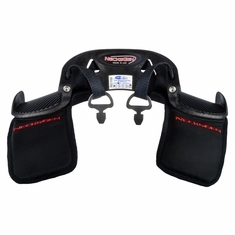 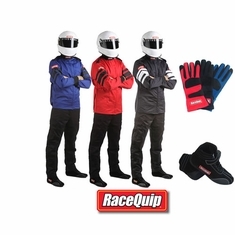 Enjoy the ultimate in auto racing head and neck restraint comfort and performance. 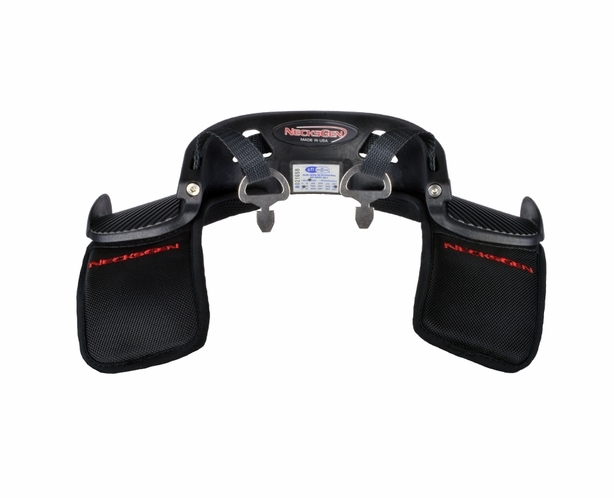 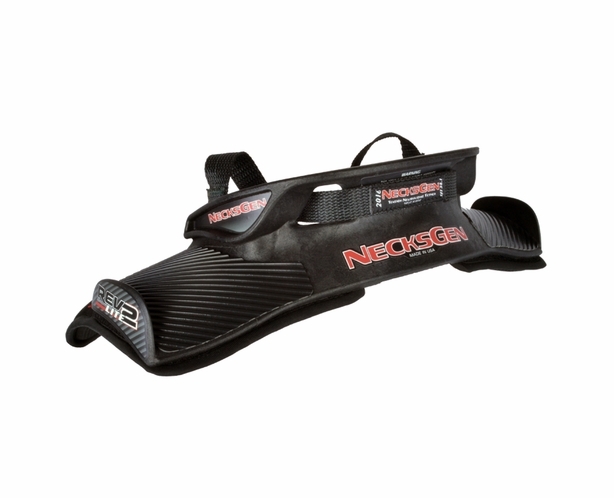 The belt channels accommodate 3 inch harnesses and have friction pads and high outer belt guides to help keep your shoulder harnesses in place while racing and even during a crash with multiple impacts. 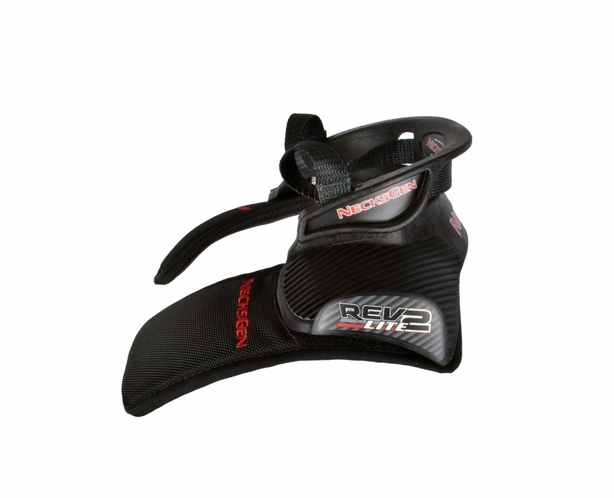 No extra pressure on the chest or collarbones due to the REV yoke-less design. 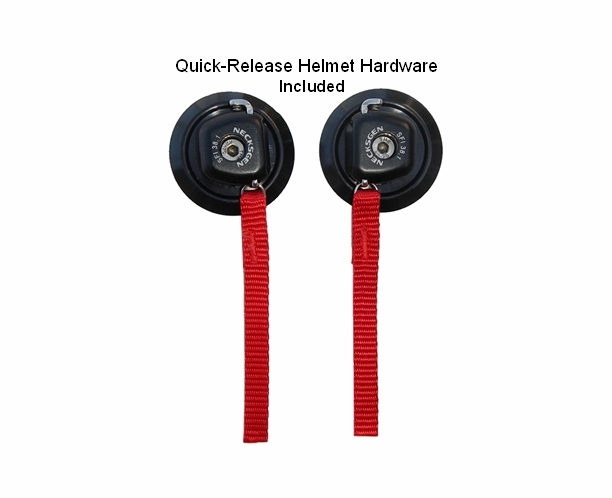 Quick release helmet hardware included - no extra charge.